Drawing Its Inspiration From The Creative Spirit Of The French Renaissance, This Collection Incorporates Styles Indicative Of The Era, Blending Natural Influences With Elegant Charm. The Burnt Bronze Finished Metalwork Allows The Crystal Embellishments To Radiate. The Distinctive Attributes Meld Together To Form A Compelling Statement Of Originality. This Collection Combines Heavy Forged Iron With Genuine Stone Candle Covers. When Lit, The Stone Gives Off A Subtle Warm Glow While Discretely Placed Halogen Lights Provide The Benefit Of Clean, Functional Down Lighting. Finished In Moonlit Rust, This Series Will Create A Bold And Historic Presence. 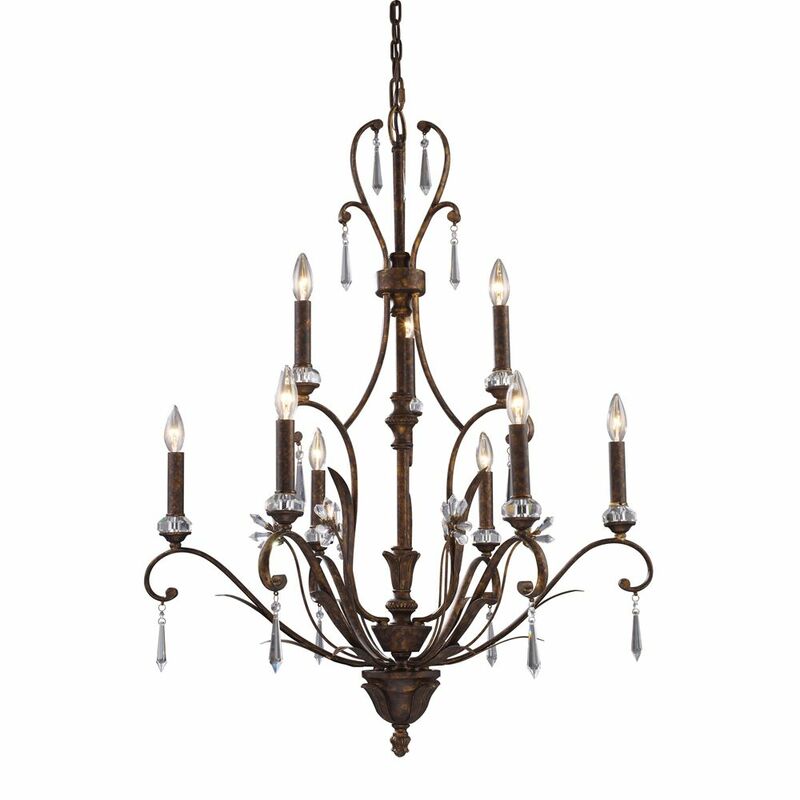 9 Light Ceiling Mount Burnt Bronze Chandelier Drawing Its Inspiration From The Creative Spirit Of The French Renaissance, This Collection Incorporates Styles Indicative Of The Era, Blending Natural Influences With Elegant Charm. The Burnt Bronze Finished Metalwork Allows The Crystal Embellishments To Radiate. The Distinctive Attributes Meld Together To Form A Compelling Statement Of Originality.